How much have you learned about astrology in 2017? 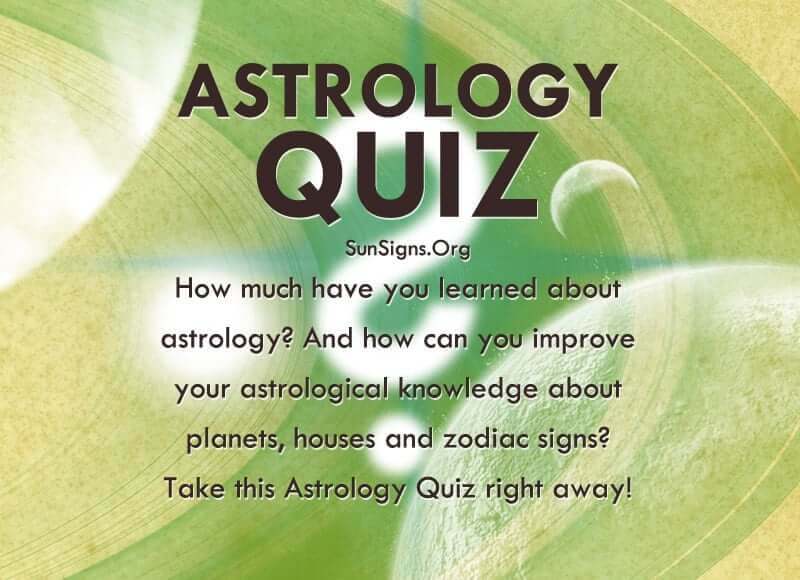 How can you improve your astrology knowledge? You may have had your own horoscope reports done. It is very interesting to learn about yourself with an astrological analysis. If you have explored this for your own curiosity, chances are that you know more than you think you do. Take this astrology test to find out how much you know about astrology. Astrology is a whole other science. Astrology is a very vast topic with many intricate details and combinations. Some people study astrology for ten years and still claim that they do not know everything about it. There are also different kinds of astrology. There is the typical western astrology that is the most well know, but then there is also Vedic astrology which is still very widely used but there are different aspects to if such as different names for the planets and also extra heavenly bodies with god names that could be confusing to the beginner. Vedic astrology should be taken very seriously. There should be no room for getting it mixed up. This astrology quiz will help you to discern where you are at within the scope of predicting through the stars. Once you get your report of the progress you have achieved in your knowledge of astrology, you will then know what you should restudy. This Vedic astrology quiz can be taken for fun, for it is very fun, or it can also be taken with the mind frame that you are an aspiring student of the subject and wish to soon become a professional someday soon. If you feel that you know very little, then, start with the beginner quiz. While you are taking the quiz, if you find that you answer fast and see that it is very easy then that is when you will discover that you should move onto the intermediate quiz. If you have always paid attention upon your astrology horoscope analysis that you have had in the past, then you just might be an advanced knower of the art of Vedic astrology. That is what this quiz is here for; for your enjoyment and for your personal knowledge. Vedic astrology has a wide range of aspects to it. You will be tested on names of various birth stars, signs, planets, the relations of the houses to those signs and planets, and the Gods and Goddesses. You will also be tested on what lucky colors are related to each sign, lucky numbers, and lucky day. You will also be tested on what the influence of each planet has on the health of people and what professions are best related to which signs and placements of planets. This is just a handful of what is in this extensive and fun, free astrology quiz. You can start now, start having fun, and start expanding your astrological knowledge.